Finally I don’t have to go smoothie hunting ever again with ready to go smoothies delivered right to my work or home! The Good Stuff is a new VanCity company delievering you fresh local organic ingredients in a cup ready to blend into amazing smoothies! No more hassle in the mornings of cutting fruit and veggies or worrying about them going bad before you get a chance to use them. Simply add your preferred liquid of choice, blend and enjoy! I prefer almond milk or something similar depending on the smoothie, but maybe try coconut milk, coconut water, soy milk, whichever! I’ve been craving smoothies almost daily lately so this company turned up at pretty much the perfect time. Plus they have tons of yummy flavours to choose from like some of these favs!!! 1. The Madagascar with its stress busting blend of carrot, banana, mango, berries, coconut oil, chia seeds… so many healthy ingredients! 2. The Thunderbird with yams, greens, blueberries and oats… seriously yum! 3. Mmmm the wise ninja with some golden beets, turmeric, black pepper… some fancy ingredients here! 4. Kitsilano Surprise with a melange of yumminess like Brazil nuts, maple syrup, nutmeg, looove love love. 5. A seasonal newbie called the Golden Orchard which is a pumpkin spice slice of heaven! 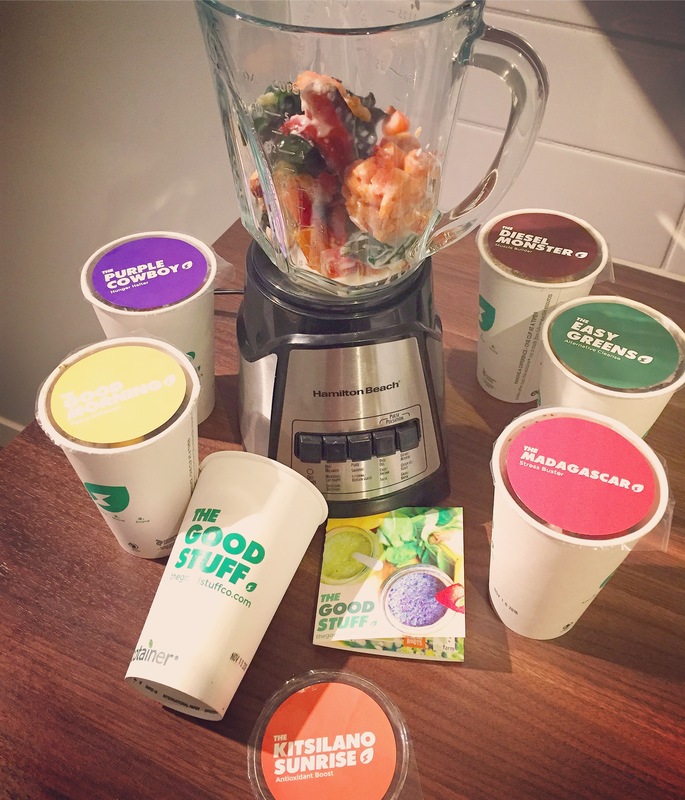 Each smoothie has a purpose too, looking for detox? Cleanse? Muscle buildup or stress relief? Look no further friends! They even support some amazing causes like $1 of each smoothie going towards Growing Chefs which teaches young kids about healthy foods! They’ve even partnered with one of my favs Enroot to deliver you fresh and ready to drink smoothies. Me likey! Lunch time just got even better! So pat yourself on the back for choosing to eat healthy, and support your local farms with this awesome company!